We make finding the ideal floor plan for your lifestyle easy with a selection of one, two, and three bedroom apartments for rent in Aberdeen, NC. Our one bedroom floor plan spans 780 square feet of living space and includes a mix of plush carpeting and hardwood-style flooring to create both style and comfort wherever you go. Our two bedroom, two bathroom floor plan includes 980 square feet of living space that features a kitchen with wrap-around counters. Our three bedroom floor plans both measure in at 1,375 square feet, one with two and a half baths and the other with three bathrooms. 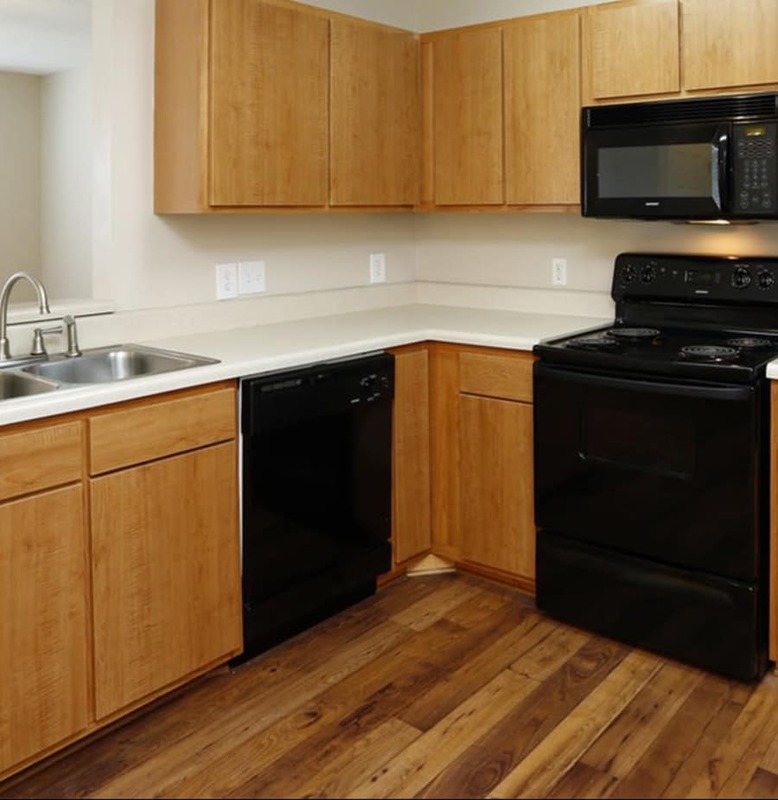 With one, two, and three bedroom apartments for rent in Aberdeen, NC, residents find our open-concept designs to include ample living space suitable for any lifestyle. Cozy kitchens make it easy to prepare meals, be it for a big holiday celebration or your average Tuesday night after work. Ceiling fans provide a nice breeze, and all of our apartments include washer and dryer connections, which makes taking care of regular chores easier than ever. We also have a laundry facility available for the convenience of our residents. Browse our selection of floor plans and then get in touch with us to schedule a tour of your favorite layout. We look forward to welcoming you home at Park at Clearwater.